Earn $5.84 in Rewards credit (584 points) What's This? Keep your eyes on this cage. The Elite Cannibal Carbon Cage is a lightweight, super secure bottle cage that allows for both top and side bottle insertion and removal. This versatile bottle cage securely stores water bottles on all frames, ideally suited to sloping tubes. All this while weighing in at just 30 grams. What more can you ask for? 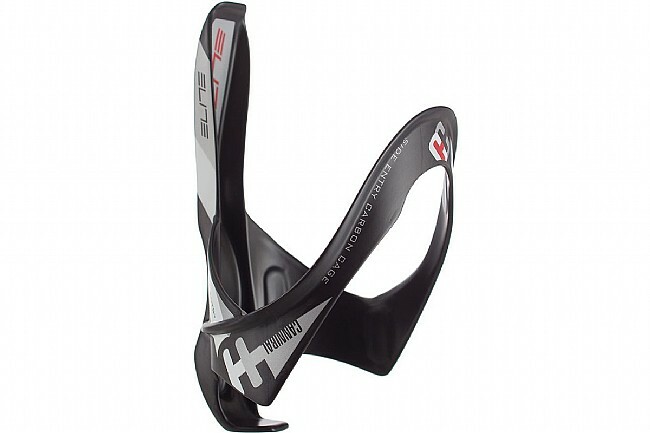 Ultra-light, ultra-stiff carbon fiber bottle cage. Allows for top or side bottle insertion/removal. Compatible with most frame types, ideally placed on sloping tubes.